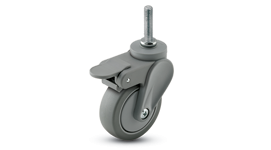 Avant is a new, maintenance-free Nylon caster, ideal when quiet performance is needed. 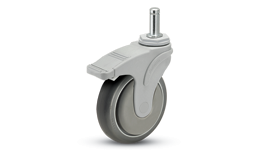 Designed with global standards in mind, great for medical environments and electronics usage. The strong, protective body of the Genesis caster completely conceals interior components and allows for easy cleaning. 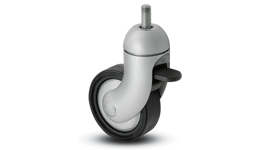 The Optimus features the resilient Performa wheel and has integrated thread guards on both body and wheel. 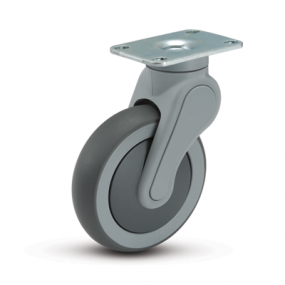 Eclipse casters have a body made of strong glass-filled nylon, and feature multiply polyurethane wheel options. 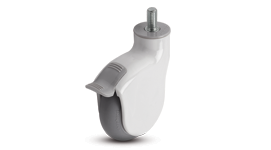 The Next Generation is a maintenance-free and highly-customizable caster, ideal for any medical environment. 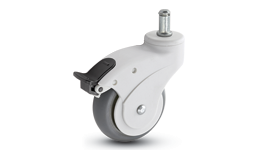 PDT Casters feature an integrated Total Lock Lever, which locks both swivel and wheel rotation.